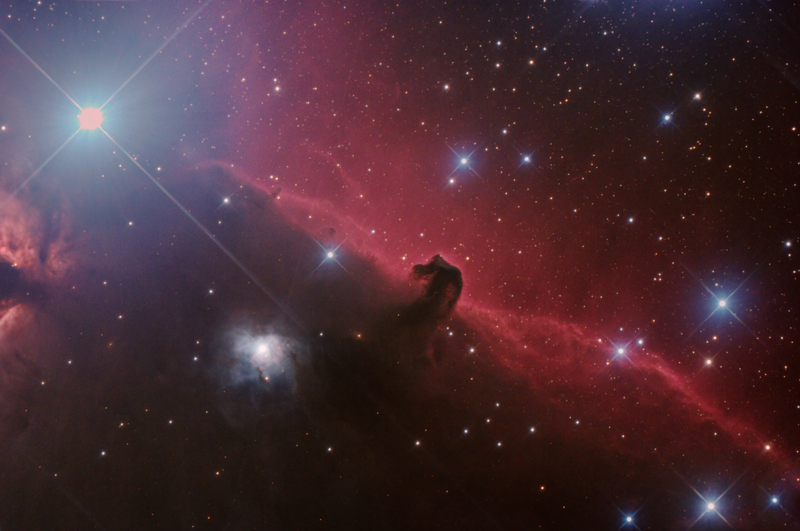 Here is a recent effort on the Hourse Head Nebula. Click on the image to see a zoomed in view. Calibration, stacking, DDP and initial microcurves in Images Plus . Masked noise reduction , sharpening and contrast enhancement applied in Images plus 5. Image binned and cropped for web display. Final noise reduction and local contrast enhancement in Paint Shop Pro and Noise Ninja.